Rav Josh and Margot Botwinick came to Alon Shvut last year to spend a year learning and teaching in Israel – Rav Josh at Yeshivat Har Etzion (Gush), and Margot at Matan and Midreshet Torah V’Avodah. When the opportunity to start the first OU-JLIC in Israel arose, they picked up and moved to Herzliya. They’re so excited for the potential of this position, and to become a part of and help build up this amazing community! The Botwinicks’ home is open and their couches are cozy so don’t hesitate to invite yourself over. Whether it’s to play with Yoshi, grab coffee or a chavruta, go for a jog, or come for a meal, they’re looking forward to getting to know you! Margot Botwinick grew up in Teaneck, NJ, and attended Ma’ayanot Yeshiva High School. She received her B.A. in Jewish Education as a Legacy Heritage Scholar at Y eshiva University and continued onto Hebrew University to complete her M.A. in Jewish Education. Margot taught Tanach, Talmud and Jewish Thought at the Rae Kushner Yeshiva High School and has also taught at several seminaries in Israel. 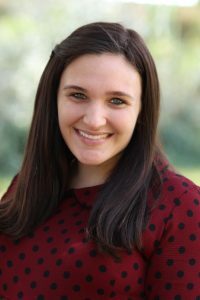 While becoming a Bellows Eshkolot Graduate Fellow, Margot learned and taught at Matan in Jerusalem. During the summers, Margot has worked at Camp Stone (where she met her husband!) served as bus head for various NCSY Summer programs, coordinated winter camps in Moscow, and is the Co-Director of Jewish Experience at Sephardic Adventure Camp, along with Rav Josh. Since serving as Student Council President at Yeshiva University, Margot has been passionate about building community on campus in both fun and meaningful ways. On a day to day basis, Margot loves playing around with different instruments, finding the nearest kumzitz, learning some good Torah, making delicious shabbos meals and walking along the Herzliya beach with her adorable son Yoshi. Rav Josh Botwinick grew up in Riverdale, NY, where he attended SAR High School. 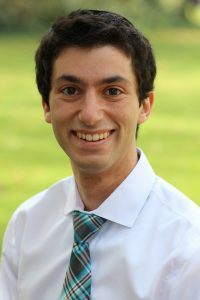 He spent a year learning in Yeshivat Har Etzion (Gush) in Israel before returning to New York to graduate from Yeshiva University’s Honors Program, majoring in Philosophy and minoring in Biology and English. He went on to pursue Smicha at Yeshiva University RIETS and received his M.A. in Jewish Philosophy at YU’s Bernard Revel Graduate School. He was also a Wexner Graduate Fellow / Davidson Scholar. Rav Josh’s passion lies in experiential Jewish education. He directed Bnei Akiva of NY/NJ’s Innovative School Programming project, which brings Israel-themed educational programs into schools. He served as the Youth Director at Congregation Ohav Sholom in Merrick, Long Island, where he also gave shiurim, sermons, and led programming for the community. He also served as the Rabbinic Intern at the Roslyn Synagogue. During the summers, Rav Josh has spent many months working at Camp Stone (where he met his wife! ), serving as Rosh Mosh in 2014. He also spent several years leading the Ya’alozu Extreme wilderness program in Camp Dora Golding. Rav Josh enjoys playing frisbee, biking, and playing guitar, though not at the same time. Yoshi Botwinick was proudly born in Israel. His recent tricks include sitting up, waving, and saying da-da. He is eager to share his toys, smile, and help destress before finals with snugly hugs.